For most of us, myself included, self-trust is tough. We have a tendency to second-guess ourselves, not listen to our gut, or hang onto negative memories from the past when we’ve made mistakes or “bad” decisions. These things and others make it difficult for us to trust ourselves and thus create challenges in our relationships, our work, and our lives. Lack of self-trust, while debilitating in many ways, is quite common. There’s nothing “wrong” with us for not trusting ourselves…it isn’t something we’ve been specifically encouraged or trained to do. Like with appreciation, authenticity, or many other important aspects of our life and growth, the first step in our process of expansion is to notice and tell the truth about why it can be difficult. In the case of self-trust, once we’re able to honestly acknowledge our challenge with it (and have some compassion about it), we can start to consciously choose to trust ourselves in a more real way. 1) Listen to your inner wisdom. We all have inner wisdom. Some of us refer to this as our intuition, others call it our gut, and still others relate to it as our high consciousness. Whether you call it one or all of these things (or something else), I believe that we’re all very intuitive and that we each have a deep sense of what is true and right for us in most situations. As we practice listening to this inner wisdom (through meditation, prayer, quiet time, breath, conscious thought, and more), we begin to trust ourselves on a deeper level. 2) Be willing to take risks, go for it, and make mistakes. So often we don’t try things because we think we might fail. I love Michael Jordan’s quote about this, he said, “I missed 100% of the shots I never took.” While it can be scary for us to take risks in life, one of the greatest ways we can build our capacity for self-trust is to go for it…even if we fail. As we build up our ability to take risks, we also grow our capacity for courage, which in turn expands our ability to trust ourselves. 3) Forgive yourself! This is a life-long process and is vital as it relates to self-trust. One of the main reasons we don’t trust ourselves is that we haven’t forgiven ourselves for mistakes we’ve made, pain we’ve caused, or regrets we have. These “demons” from our past haunt us and we use them as evidence to not go for things and not trust ourselves. As we enhance our capacity to forgive ourselves, we heal from the past and breathe new life into our experience. This creates a genuine sense of enthusiasm for both the present moment and for our future. And, as we’re able to forgive ourselves, we can let go of our attachment to being “perfect” and having to do everything just right…which then allows us to trust ourselves more freely. Do you like to be right? If you’re anything like me, I bet you do. I’ve spent much of my life being obsessed with “rightness;” having the “right” answer, doing the “right” thing, acting the “right” way, winning arguments to prove how “right” I am and more. As I’ve learned and you’ve probably noticed as well, it’s not only impossible to be right all the time, it’s exhausting, stressful, and no fun (for us or others). The great saying, “you can either be right or happy, not both,” is so true! On our journey of growth, fulfillment, and authenticity, one of the best things we can do when we notice ourselves focusing on being “right,” is to take a step back, take a deep breath, and ask ourselves, “what’s real?” When we look within, there’s always something much deeper going on when we want to be right. Maybe we’re feeling scared, passionate, angry, excited, helpless, joyful, embarrassed, or something else. When we focus on being right we’re fixed in our thinking, we’re often self righteous in our approach (which is almost always annoying and ineffective), and we’re usually covering up our real emotions (because it’s easier and more comfortable for us to be right than to be real and vulnerable). Why do I have the need to be right with this person or in this situation? What am I afraid will happen if I give up my righteous position? What is it that I really want from this person or in this situation? What are the underlying emotions that I have not been willing or able to express? What would it take for me to let go of being right with this person or in this situation? Asking and answering these and other honest questions can lead us to deeper place of authenticity within ourselves and with the other people involved in the situations in our lives that may cause us stress, worry, or pain (i.e. the ones where we’re obsessed with being right). We live in a culture that has trained us to be “right” at almost all costs. While I’m not advocating that we give up on our passions, beliefs, and values – I’m challenging us to tell the truth and get underneath our righteous opinions to a place of deep truth, realness, and vulnerability. From that place of authenticity we can have real power, freedom, and connection in our lives. If we stay focused on being right all the time, we’ll “win some and lose some” on the surface, but ultimately won’t have the kind of life, work, and relationships we truly desire. How does this relate to you, your life, your relationships and more? Share your thoughts, action more here on my blog. How do you feel about conflict? Many people I know and work with, including me, have lots of creative ways to avoid conflicts. I actually really appreciate conflict myself, although I often get scared at first to initiate or engage in conversations that may result in a conflict. Whether we’re comfortable with conflict or not, it’s a part of life, relationships, and work – and always will be. When we look at conflict more deeply, we realize that it is a vital aspect of growth, change, and every important relationship in our life. The pain, suffering, and stress caused by conflict doesn’t usually come from the conflict itself, it comes from our avoidance or denial of it. Most of us have not been trained to engage in conflict in a healthy, productive, and authentic way. This is what caused us to run away from it or when we do engage in it, we spend most of our time and energy on protecting ourselves from getting hurting, trying to “win,” or both. 1) Take responsibility – It always “takes two to tango.” Taking responsibility is not about being at fault or blaming the other person, it’s about owning up to the situation and recognizing that we are a part of the issue. 2) Address the conflict directly – Conflicts are always handled most successfully when they’re dealt with directly and promptly. Be real and vulnerable when you approach someone with an issue, but make sure to do so as soon as possible, don’t let it fester. 3) Seek first to understand – As challenging as it can be, the best approach in any conflict situation is to listen with as much understanding, compassion, and empathy as possible – even and especially when we’re feeling angry or defensive. If we can understand where the other person is coming from, even if we don’t agree, we have a good chance of being able to work things out. 5) Go for a win-win – The only real way to have a conflict resolves authentically is if it’s a true win-win for everyone involves. This doesn’t necessarily mean that each person gets his or her way. It does, however, mean that everyone gets heard, honored, and listened to. And, when and if possible – we make compromises that leave everyone empowered and in partnership. 6) Acknowledge others – Whether it’s a one-on-one conversation or a situation that involves lots of people, acknowledgment is essential to our ability to engage in productive conflict and to be able to resolve it in an authentic and effective way. Thank the other people involved in the conflict for being willing and able to engage. Thank them for their truth. It takes courage for each of us to engage in conflict. When we acknowledge each other, operate with kindness and humility, and remember that vulnerability is the most important aspect of resolving conflicts effectively, we’re reminded that we’re all in this together. There are really only two ways to deal with conflicts effectively – directly, all the way through, until they are resolved (not just we get our way) or to completely let them go (not talk about them, not think about them, etc.). We actually know how to do both of these things, although we often opt for a third option, which never works (trying unsuccessfully to address the conflict and then telling others about how right we are and wrong the other person or situation is. Think of some of the biggest conflicts in your life right now. Are you ready to resolve them? If so, decide whether you’re willing to let them go or not. If not, make a commitment to yourself to engage in them using these steps above and do so in an honest, genuine, and vulnerable way. Don’t wait until it’s too late – have the conversation now. Which conflicts in your life are you willing to let go of? Which ones are you willing to address directly? Share your thoughts, ideas, commitments, and more here on my blog. Talking about authenticity is a heck of lot easier than actually being authentic, believe me – I know. 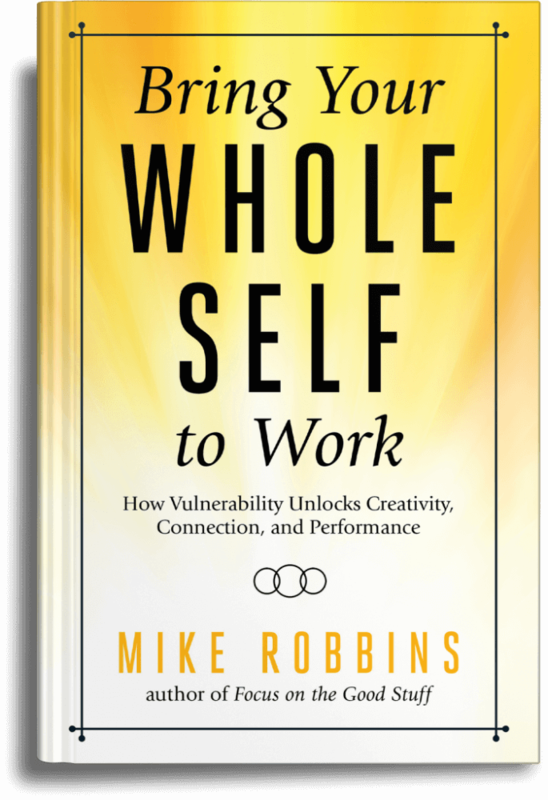 For the past few years as I’ve been working on my new book and talking about authenticity in my workshops and keynotes, I’ve done a lot of talking about what it means to be real, authentic, and vulnerable in life. And, while I always do my best to model what I teach as I am teaching it, I know that it’s not the same thing to talk the talk, unless I truly walk the walk. With this in mind, I want to recap the key principles of my book, Be Yourself, Everyone Else is Already Taken, which I’ve written about in each of the past seven newsletters and then challenge you (and me) to put these things into action in our real lives, today! Being authentic and real can be challenging for most of us for a variety of reasons. There are both external and cultural factors (parents, teachers, family, school, religion, era, and more) that play into this, as well as personal reasons (fears, insecurities, perceived weaknesses, lack of practice or courage, wanting people to like us, etc.). It’s important for us to acknowledge, tell the truth about, and take responsibility (with compassion) for these external and internal factors of our lives and personalities that make it difficult or scary for us to live in a way that is authentic. By confronting these things directly, owning them, and making peace with them, we’re able to move beyond what normally stops us from being who we truly are. Know Yourself – A commitment to growth, self-discovery, and brutal honesty with yourself. Transform Your Fear – A willingness to admit, own, express, communicate, and take action in the face of your fear. Express Yourself – Fully and honestly expressing yourself and your emotions, all of them. Be Bold – Going for it, all the way – even if you’re scared. Celebrate Who You Are – Loving, appreciating, and celebrating yourself in a genuine and generous way. This is where the rubber meets the road. Of the many action ideas, practices, tips, suggestions, and techniques I outline in my new book and that I’ve shared my newsletters over the past seven weeks, which ones have spoken to or resonated with you most? You’ve probably put some of these ideas into action, which is great! And, there are probably other things – either that you don’t think you have time for (not true) or are not sure how to make happen (more honest) – that would make a difference in your life, your work, and your relationships. Below I’ve listed three additional possible action ideas – taken right from my new book and my workshops. My challenge to you is to pick one (or more) of these and do them today…no waiting around or putting them off. And, if none of these actions resonate with you, use them as a catalyst to think of something of your own that would be a stretch and would challenge you to be more real and authentic in your life, right now! – Do something that scares you. Pick something big or small to do today that will scare you. Ask someone for something, get up and speak in front of a group, make a phone call you’ve been putting off, take a risk, or do anything else that you know will take some real courage on your part. – Make a list of current conflicts/issues that you have with other people: deal with them or let them go. There are only two ways to deal with a conflict effectively – directly until it is resolved or let it go completely. Once you’ve made your list – see if you can make a choice, one way or another (deal or let go), with each of these conflicts. With the ones you aren’t willing or able to let go of, stop avoiding this person and pick up the phone, send a note, or go and talk to them – directly, honestly, and vulnerably – and see if you can resolve this conflict once and for all. – Write a bold mission and vision statement for your life. There are lots of different ways to do this, don’t get too hung up on the process – just do it. Your mission is about who you are and how you live on a daily basis. Your vision is about where you want to be and what you want your life to look and feel like in the future. Make them both clear and specific, paradoxically, don’t get too hung up on the details. And, when they’re done (not perfect) post them so you see them all the time and share them with others in your life. Which of these (or other) authentic actions will you take today? Share your thoughts, ideas, actions, and more here on my blog.